Click on the name above to visit the artist's website. Atmospheric ambient music best describes the breathtaking soundscapes of Barcelona based artist Max Corbacho. Combining the expressive power of contemporary synthesizer programming and digital processing with environmental recordings and unique sound samples, Max forms expansive aural environments that surround the listener, absorbing the senses and stirring the mind. Whether exploring the contemplative, drifting harmonies, luminous textures and transparent layers of light or the unsettling, isolationist shadowlands, the drones and depths of darkness, there is an alluring beauty at the center of each composition, an organic heart, a human footprint. Paul Lawler began his musical career as a session brass player working with the Halle Orchestra and BBC Radio amongst many others. After years of composing music in his own time he decided to make the transition into media composition on a full time basis following a series of television commissions for the BBC. Equally adept with both cutting edge technology and classical performers his music has a very unique and contemporary style. Paul has been in great demand since composing his first television score in 1998 for the BBC series Ancient Voices. Other commissions include the major BBC series Apeman-Adventures in Human Evolution and Ancient Apocalypse. Paul's music has been used on hundreds of Television shows from around the world including Saturday Night Live, The Montel Williams Show, The Late Late Show in the USA and the major drama productions Ice Age and Cobra, plus the feature film Countdown described by Hollywood moguls as "Russia's First Blockbuster" and "the most ambitious film to come out of Russia." As a solo artist in the field of EM, Paul releases his music under various artist names. You can visit Paul on MySpace and become his friend. If Jean-Pierre Saccomani has a website, I have not yet found it. Watch this space for updates. J-P Saccomani's CDs this are released on MCP Productions. You can visit Steve on MySpace and become his friend. With over 20 albums to his name, Robert Rich has helped define the genres of ambient music, dark-ambient, tribal and trance, yet his music remains hard to categorize. 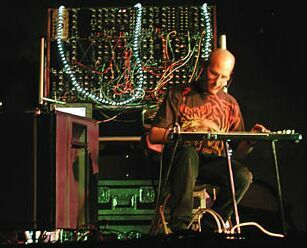 Part of his unique sound comes from using home-made acoustic and electronic instruments, microtonal tunings, computer-based signal processing, chaotic systems and feedback networks. Rich began building his own analog synthesizers in 1976, when he was 13 years old, and later studied for a year at Stanford's Center for Computer Research in Music and Acoustics (CCRMA). Rich released his first album Sunyata in 1982. 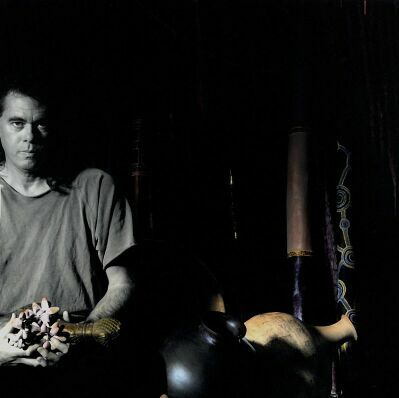 Most of his subsequent recordings came out in Europe until 1989, when Rich began a string of critically acclaimed releases for Fathom/Hearts of Space, including Rainforest (1989), Gaudi (1991), Propagation (1994) and Seven Veils (1998). His two collaborations with Steve Roach, Strata (1990) and Soma (1992), both charted for several months in Billboard. Other collaborations include Yearning (1995, with Lisa Moskow), Stalker (1995, with B. Lustmord) and Fissures (1997, with Alio Die.) Rich's contributions to multi-artist compilations have been collected on his solo albums A Troubled Resting Place (1996) and Below Zero (1998). 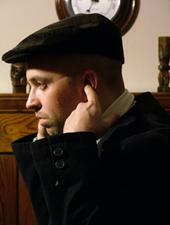 He also records with his group, Amoeba, exploring atmospheric songcraft on their CDs Watchful (1997) and Pivot (2000). His 3-CD live set Humidity (2000) documents the unique improvised flow of his recent performances. Robert's 1996 concert in Allentown was the first music played on Galactic Travels. Robert will be giving a workshop with Ian Boddy and performing at NEARfest this month in driving distance from WDIY. You can visit Robert on MySpace and become his friend. The music of Jim Cole and Spectral Voices features harmonic overtone singing where each vocalist sings two or more notes at once. Spectral Voices' music has been described as mystical, wondrous, achingly poignant, contemplative, ethereal, relaxing, transcendent, hypnotic, powerful, primal, soothing, intense, meditative, and sublime. Free System Projekt started out as a solo project for Marcel Engels. Marcel expanded his project into a group that included two friends, Frank van der Wel and Ruud Heij. As a solo artist, Marcel has participated in some of the Ricochet Gatherings. As a trio, FSP has played in the US and at festivals in Europe. They have also played live on Galactic Travels (show #238). Their music stems from the Berlin School style of EM and grows from there. Click on the name above to visit the labels's website. Origo Sound is a Norwegian label that concentrates on Norwegian artists. The music is in the ambient and ambient techno genres with some forays into folk, new age,industrial, and ethnic electronica. Click on the name, photo, or logo above to go to the label's website. 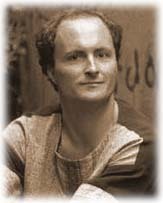 Paul Ellis has been a member of Dweller at the Threshold and has also released many CDs as a solo artist. Paul has also collaborated with such notables as Steve Roach and Craig Padilla. After more than a decade of playing live shows in his native northern California, Craig Padilla has become an internationally celebrated electronic musician. His style reflects EM artists of the past while finding new, unique sounds and styles. Using vintage instruments that lend themselves to the sought after, full bodied sounds EM afficianados crave, Craig also uses custom designed, one of a kind synths that, in many cases, have been modified. Blending modern software synthesizers (softsynths) into the mix, Craig creates new sonic worlds of ambience and subtlety. This would mean nothing if it weren't for Craig's melodic sensibilities to make music that captures the essence of humanity and are works of grandeur and timelessness.